This page shows the older applications I have made for the PlayStation Portable (PSP) and that do not have a single page for them. 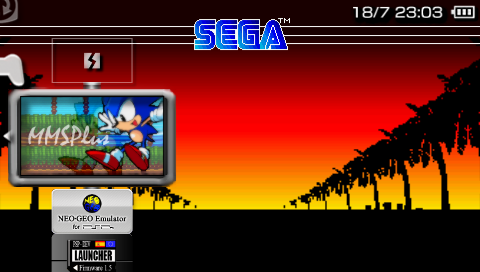 MMSPlus is an emulator for the Sega Master System. A library for creating 2D games for PSP. MasterBoy is the successor of MMSPlus, it emulates the Game Boy Color and has an improved user interface.